First introduced to the world in 1988, EBS is today renowned the world over for their premium line of bass amps and bass effects. 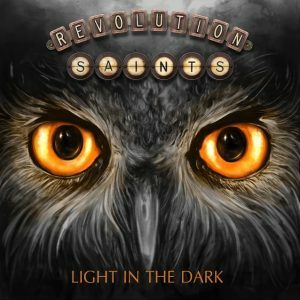 So what on Earth is a bass company doing with a review in the guitars section of Musicplayers.com? The answer to that excellent question can be found directly under foot: EBS has just introduced three drive pedals optimized for guitar—though each is also useable for bass. Now, if you raised your eyebrow and asked yourself, "What does a bass company know about guitar overdrive?" you are certainly not alone. We hear about guitar amp companies moving into bass products all the time, but going from bass to guitar? Is that even allowed? We put these three pedals to the test in order to answer these important questions. Oh, and we let our bass guys play with it, too. Here's what we discovered. EBS laid out its new line in a familiar, tried and true format, with all three sharply-designed pedals featuring the same controls. Simple 1/4" mono In and Out, True Bypass, Tone, Drive and Volume knobs, a 9v barrel-type power supply jack, and battery compartment. The Drive pedal is the simplest of the three, while Black Haze and Drive Me Crazy feature an additional three-way toggle serving up Thin/Regular and Deep tonal options. A Carling-style single button switch toggles the pedals from bypass to active. At 2.6" wide and 1.9" deep, these pedals are sure to please guitarists with already cramped pedalboards, or those designing a new one. At 0.66 lbs, weight is also not a concern. A very thoughtful and innovative, flat patch cable came with each pedal, too! The three EBS pedals were plug-and-play and simple to set up. After checking polarity and voltage requirements (9v-12v DC, 30mA), we plugged each pedal into our pedalboard's Eventide Powerfactor 2. After patching them into the front-of-amp audio loops in our TC Electronic G-System, we were up and running. If you're not using a pedalboard power supply, you'll need to remove four screws on the base of the pedals to access the battery compartment rather than having more direct access. More and more pedal manufacturers are going this route lately, presumably because it's cheaper to make, but also because pedalboard power supplies are so common. There is a delicate balance to setting proper levels when it comes to dialing in the Gain and Level, and we found it easy to go from just right to what the hell happened? if we weren't careful. Volume works in tandem with the gain, so although not terribly complicated, you'll need to use your ears because there is no clip indicator, and these three pedals can be driven into squished clipping if your settings are extreme. These classy pedals like peppering; not diming. OVERALL RATING = 3.7 Stars, which earns it a WIHO Award! Owning a host of drive pedals already, we had a lot to draw comparisons to and already had baseline expectations of the EBS line. We want our drive pedals to both sing and cook, when necessary. In selecting an amp/guitar combination, we gave thought to the most versatile combination that would likely benefit from drive pedals to enhance the sound. We played our Knaggs Severn X with two humbuckers and a five-way switch into our Metropoulos Metroplex, an amp renown for copping great '60s Plexi tones. We kept the gain on the amp set to about 2:00, in order to give these drive pedals plenty of room to breathe. There was good width to the sound, with the faintest hint of amp gain just starting to develop. This was a fantastic tone on its own, which we felt was perfect for our sound testing. Starting with The Drive, we had both the Gain and the Volume knobs set to high noon with the tone at about 1:00. At this setting we achieved decent grit well above what our amp was set at, and it was a great lead tone for a bluesy setting. Bringing the volume up from this setting achieved a little more aggressiveness, but not much more gain. Backing the volume down achieved a bit more gain. Pushing both the gain and volume past 2:00 resulted in a smashed, undesirable sound. This pedal was best played in a more subtle, delicate manner. Next up in our guitar testing was Black Haze, our favorite of the three. Using the same settings, we found the sound to be very well suited to our guitar/amp combination. This sound was somewhere in between '60s Hendrix type fuzz and a good overdrive sound. After pushing the gain, things sounded fuzzier, albeit in a good way. The Thin switch thinned the sound out too much for our particular setup, but the Deep switch added a more pronounced low mid enhancement to the tone. We really liked this setting. Our last guitar sound test involved the Drive Me Crazy pedal. Marketed as the high-gain distortion pedal of the bunch, we certainly agree with that assessment. This one gave us an '80s rhythm tone and searing lead voice. 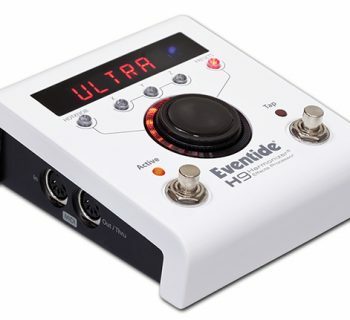 We noticed the same clipped sound at extreme settings, but set with reasonable volume and gain settings, this pedal gave the sound good air and retained the width and breath of the baseline tone. The pedal sounded great right in the middle, set to Normal. EBS Black Haze Video courtesy of EBS Sweden. The basses we used in our testing were the recently reviewed Fender American Professional Series Jazz Bass V and Precision Bass 4, and an NS Design WAV4 RADIUS for our active bass. The bass rigs we played through were a Mesa/Boogie Carbine stack (4x10 and 2x12) and the Eden Metro (2x10). We set each of the amps to a relatively flat tone and played at a pretty loud volume. 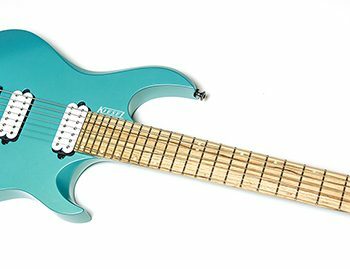 We used numerous pickup configurations with the basses, and countless tone settings on the pedals themselves. We played multiple styles including slapping, finger style, and picking. First up was The Drive. With the tone knob all the way up on our passive Fender Precision bass, we were able to get a nice overdrive, tube-like, growl and bite. Besides the volume boost, the green drive pedal added some warmth and character to our basses. Adjusting the Drive and tone knobs provides many tones, but we think this pedal has a vintage style voice overall. The NS Design bass needed a level fine-tuning, but this modern, active bass really warmed up with this pedal. With the Jazz bass, we were able to dial in that classic prog rock '70s bass sound. The Drive pedal works well as a clean boost, too. The Black Haze pedal feature similar controls as The Drive but also adds a switch for Thin, Normal or Deep character. The overdriven bass tones we could dial in here ranged from subtle to massive. One setting in particular, Tone at 10:00, Drive at 10:00, and the switch on Deep, was great. We would play any two harmonics and this massive analog synthesizer-like sound was just a pulsing sound through space and time. We liked the character switch, as sometimes it would add just enough bottom end for the tone we were chasing. This is a serious distortion pedal when paired with bass. Finally, we plugged into the Drive Me Crazy pedal. This one covers a wide range of overdrive, from smooth, bright grind to deep, straight-up distortion. With the same knob configuration as the Black Haze, this pedal seemed to have a little more drive when pushed. Whether you want just a touch of tone "dirtification" or full blown distortion, this dynamic pedal gives your bass all the drive it will ever need. EBS The Drive Bass Video courtesy of EBS Sweden. Overall, we found these pedals better suited to guitar use. Something that would make these more useful on bass would be the inclusion of a blend circuit, where we could dial in some amount of our dry signal. In the bass context, we prefer (and love) the EBS Billy Sheehan Signature Drive, which is a versatile and great sounding, bass-centric, overdrive pedal, and would make that our first choice for bass distortion and overdrive. However, a multi-instrumentalist working in the studio will be able to find plenty of double-duty for this new range of EBS pedals. Online manuals and a well-designed website make use of EBS products a pleasure (not to mention the straightforward design of the hardware in the first place). All controls were explained, along with full product specs for things like power, etc. 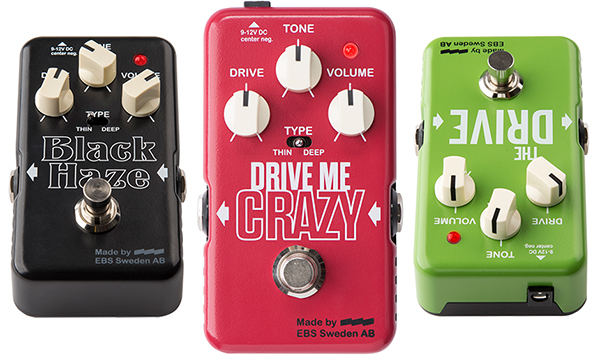 The Drive, Black Haze, and Drive Me Crazy pedals (MSRP $199.95) sell for $99.95 MAP. These are very competitively priced, and we could easily see adding one or two of them to our pedalboard. It's all about flavor when it comes to overdrive pedals, so definitely check these out if your tone is in need of a hot new flavor.